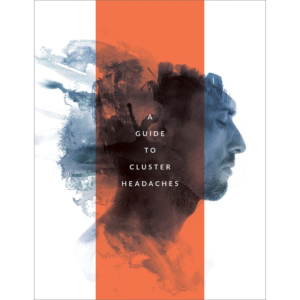 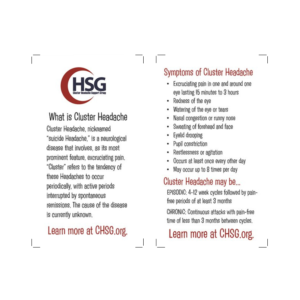 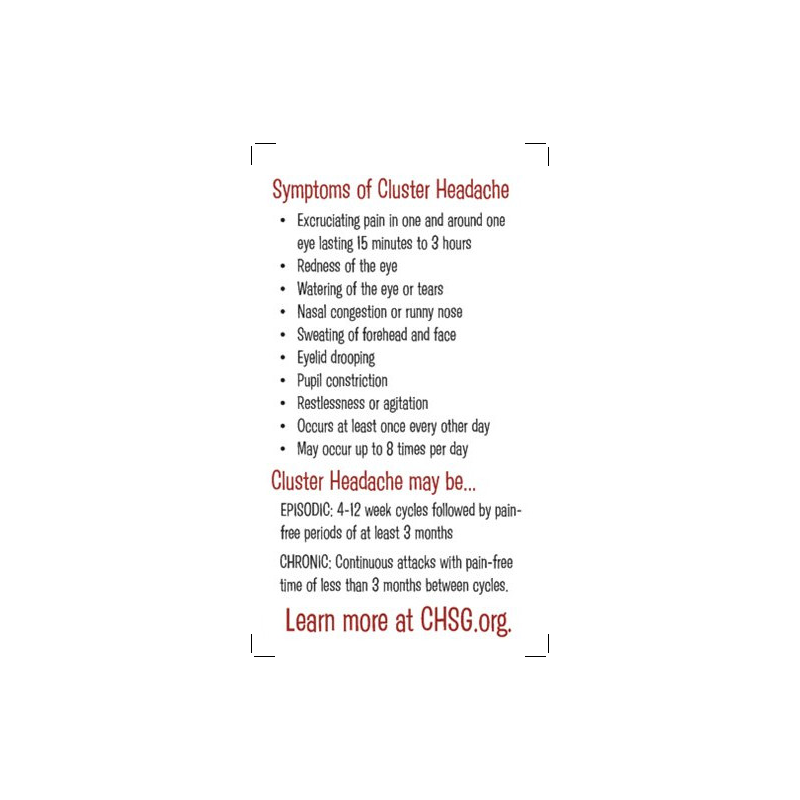 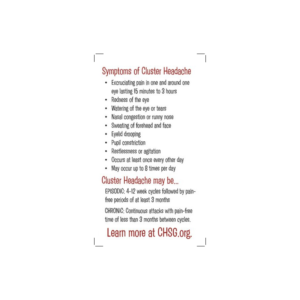 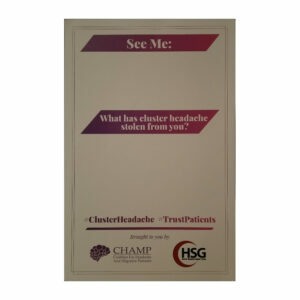 Share these Cluster Headache information cards with others to spread awareness. 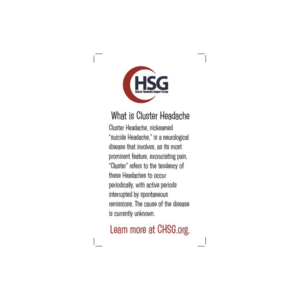 All the important information is already printed in a simple, easy-to-understand format. 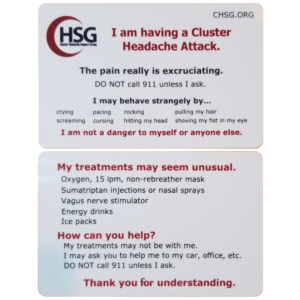 No need to go into a long explanation, just say, “I have Cluster Headache,” and hand them a card. 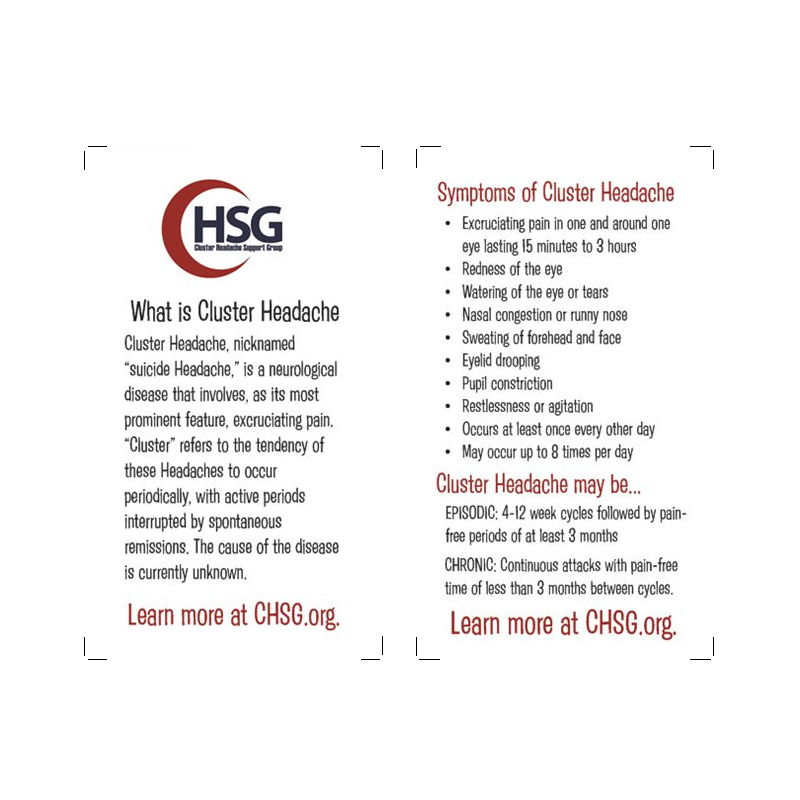 For a $5.00 donation, we’ll send you a 25-pack of info cards, plus, we’ll send a 50-pack of information cards to the individual of your choice, along with a letter explaining our mission.